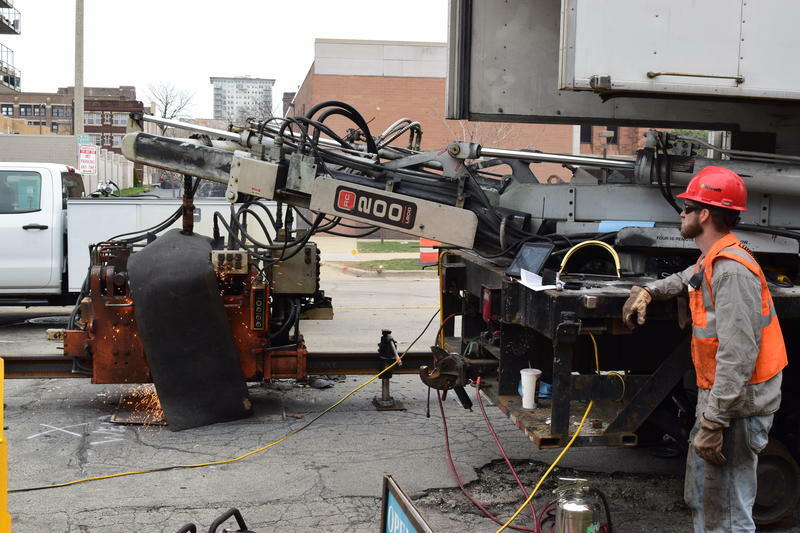 “Well, we’re right here at the intersection of Jackson and Ogden and our streetcar project is in the process of a welding operation," city engineer Jeff Polenske says. “We have all of our straight rail that had been delivered over the last couple of weeks and now we have the outfit Progress Rail welding the straight sticks of rail together. So they come in 80 foot lengths, the rail pieces and they’re welding them to about 320 feet length." Each 80 foot section of steel weighs about 3,000 pounds. 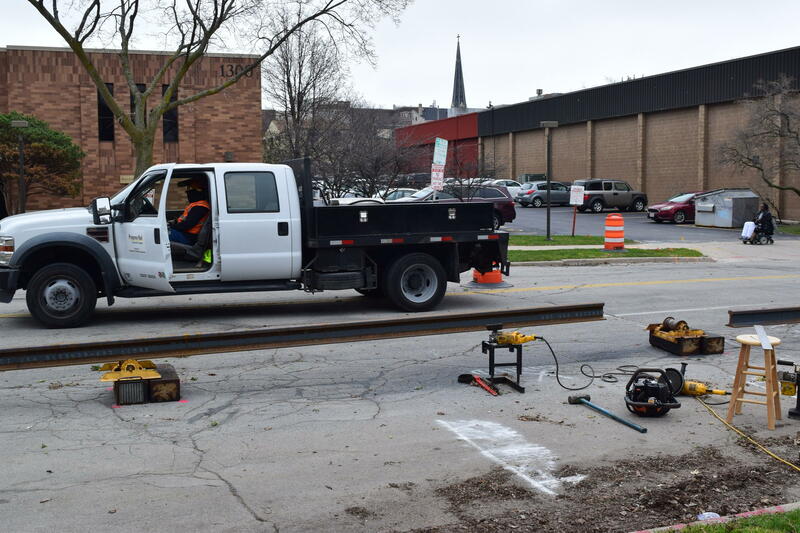 While workers are welding the rail at Ogden and Jackson, others will have to transport it south - to St. Paul Avenue between Plankinton and 4th Street for the start of Phase One. 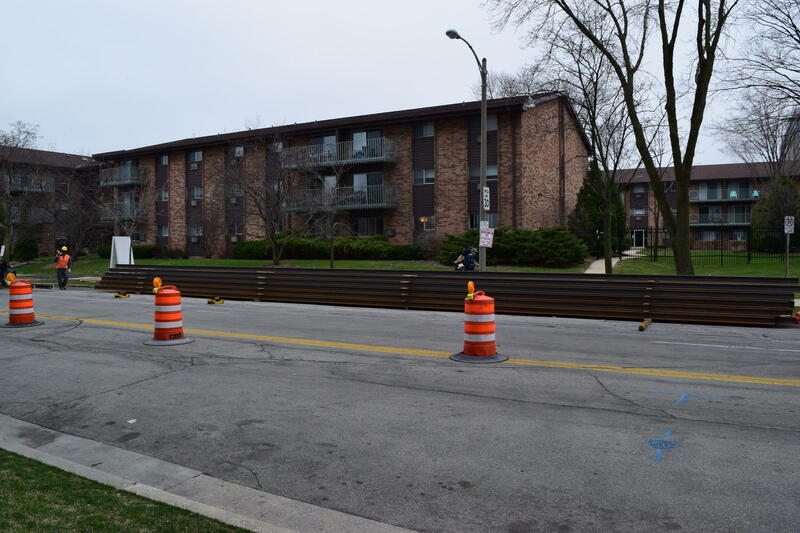 “The contractor is slated here for mid to end of April to actually start removing the pavement or removing the concrete within the track zone on St. Paul. And then, they’ll start setting up for the actual rail to be inserted into that track zone,” Polenske says. He says the streetcar team is working closely with downtown businesses to stay ahead of any sort of potential problems. “The staging plan that we set up was really based around a lot of the different needs that we found and heard from the stakeholder’s downtown. You know obviously, we want to be off of St. Paul when Summerfest is actively going on. So they’re certain areas that we want to be working in at certain times of the summer so that we can avoid festivals and different activities that are taking place in the downtown area,” Polenske says. 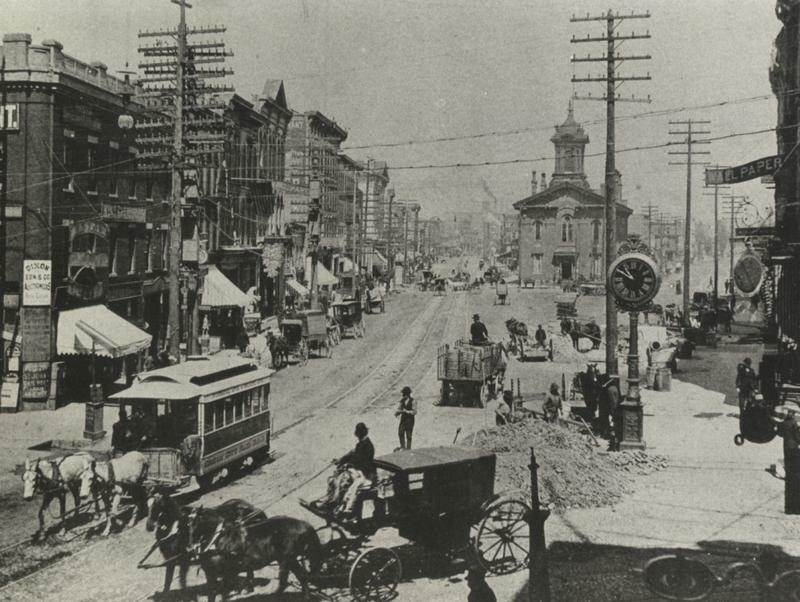 Construction on the initial two mile stretch of the streetcar line is expected to last through summer of 2018. In the past, long road construction projects have meant decreased business for some, but the Milwaukee Public Market isn’t worried. Paul Schwartz is operation and communications manager. “During the course of 2014 and 2015, we had the reconstruction of the 794 freeway, which was right outside of our building. It took over half of our parking lot. Throughout that time, both our customer visits in the building and our overall sales grew. So we’re confident that this construction, (is) well planned out,” he says. Schwartz says it also doesn’t hurt that a member of the 794 freeway team is also working on the streetcar engineering team. The project has been divisive from the beginning because of its cost, around $128 million for a 2.5 mile route. Just over half the money is coming from the federal government. 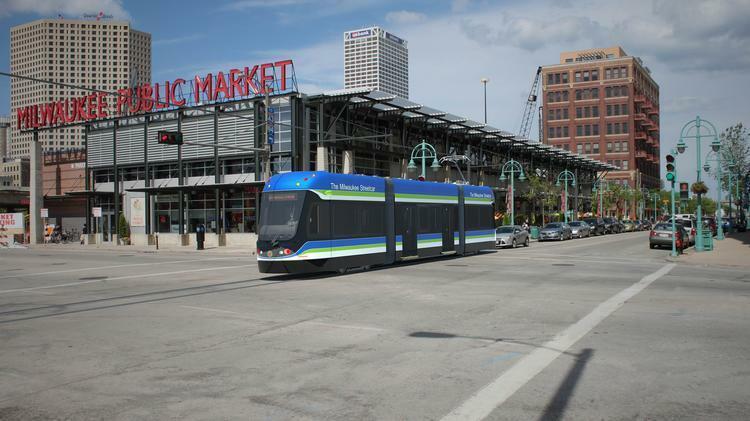 So far, five companies have submitted proposals to operate the streetcar, although a decision isn’t expected for several months.